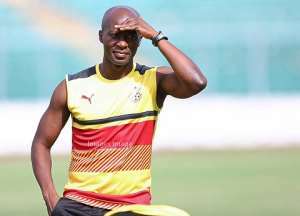 Assistant Head Coach for the Black Stars, Ibrahim Tanko has stated that he is confident Ghana will beat theHarambee Stars of Kenya to revenge that painful loss the team suffered when the two teams faced each other last year. It can be recalled that Ghana lost narrowly by 1-0 to the Kenya back in September 2018 in their first qualifying match for the African Cup of Nations (AFCON) 2019. With one last match to be played in the qualifying round, the Black Stars are expected to host their counterpart in the Capital City of Accra over the weekend. All two teams have qualified for the AFCON tournament but the 3 points up for grabs will decide who tops the group before the official draw for the tournament is held. In an interview with Joy Sports, Ibrahim Tanko has insisted that the team is going into the clash with all seriousness in order to ensure they come out victorious at the end of the 90 minutes. “Yeah we have qualified but as you know the Kenyans beat us in Kenya so we also want to beat them here and as I said we are going to have three, four, five new players to test them because this is the last game that we are going to play for the AFCON”. “So we are taking it serious and we are sure that we are going to beat the Kenyans here”, Ibrahim Tanko shared. The Stars have started camping and are expected to have their first training session today at the Legon Ajax Park. The match will be played at the Accra Sports Stadium on March 23, 2019. Kickoff time is at 18:00GMT.